V and Co.: shop stocked with "things"
pictured is my aqua pillows for sale. go to my etsy store to find this one and more. okay so now go on over to the blog and get a chance to win a honey bun (you know the one i made my baby girl quilt out of) yeah that one. go on go tell em what you like about my etsy store for a chance to win! tomorrow i'll be updating (if all goes well) patterns for the ruffle pillow and for my pincushion. phew now to air out my armpits cause i'm sweating up a storm! What I love about your Etsy store is .... 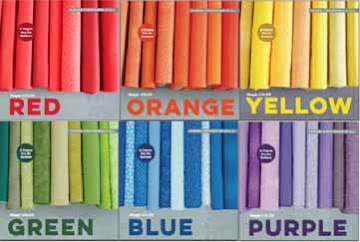 The fabric that you choose to use in you items, but most of all is the vintage fabric for sale. Love those pillows... thinking about getting them for myself for my new place - they look like they'd be perfect! YOu have a lovely shop all around but I think the bags are so sweet! I love the three flowers pattern. The colors are so bright and cheery. I love those pillows! 2 of my favorite things: Damask and aqua! So, I left a long rambling comment the other day with a bunch of questions about painting, and I wanted to tell you to ignore them- just in case you aren't already! I actually looked back through some of the comments on the posts about painting stuff and you answered a lot of the questions I had in them. The one thing I'm still wondering is if you do any kind of top coat after you distress stuff, or if you just leave it. Good luck with your shop update, it all looks really cute! i love the "throw pillow in zaza", becose que colors are so chic and that way i dont'n understand be on sale!!!! thanks for the tip on the honey bun giveaway.. i'm looking forward to this ruffle pillow... sounds good. Love the part of the armpits!! 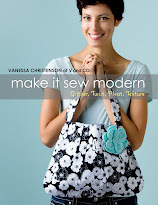 I just was wondering...I noticed you had the book, Crafting Vintage Style-do you love it?? I have the Decorating Vintage Style and I love it. When I saw your book I was curious...would you recommend it?? 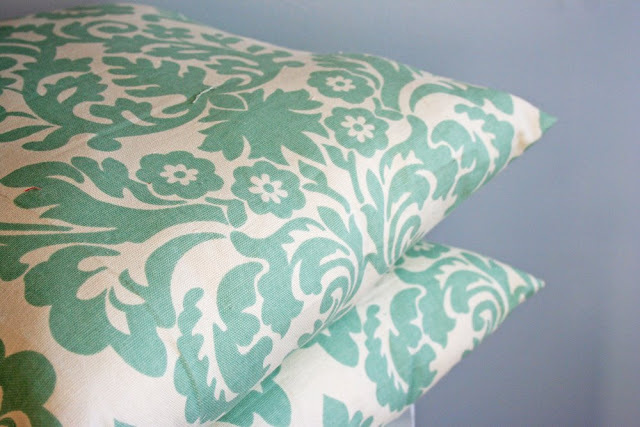 I love the fabric you used for your pillows! Hey, it's me again, I read all about you on the little birdie secret. It is so awesome! I can tell people I know someone famous! Jodi sent me :-) But you know I visit you often anyway. I love the Holly Girly bag. Soooo cute! Very nice fabric choices for your pillows and bags. I like it all. I really liked the pattern for the picture in your daughter's bedroom. love the fabric pillows, so beautiful! Hi V., This that and the Other sent me over. Thanks for the Link to Little Birdie Secrets. Just popping in to say...This that and the Other sent me over! thanks! Wow, that pillow is simply gorgeous! I am LOVING the fabric! What line is this? Came over from This That and the OTher, btw. Lovely! Love those aqua pillows. great fabric!